Should you be using captions for your Facebook Video Ads? The short answer is yes, you should be using them. According to Facebook, 85% of their videos are viewed with the audio off and 76% of their video ads require audio to be understood. With these figures, my recommendation is you should be using captions on your Facebook videos especially on Facebook video ads. 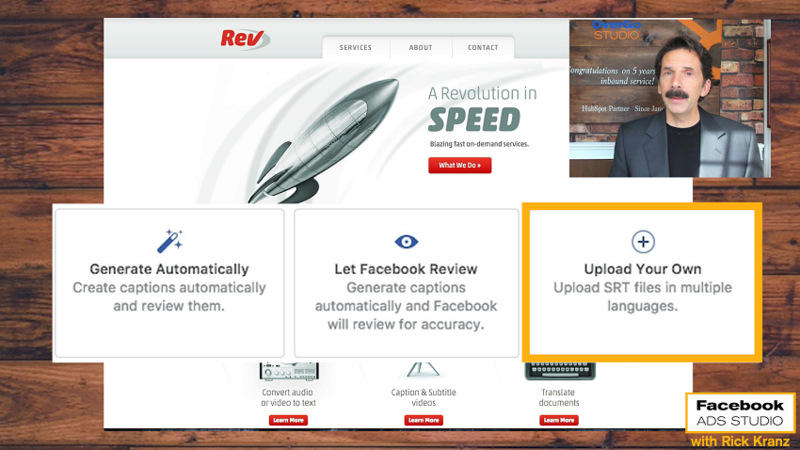 Let me show you three different ways to add captions to your video ads and I will tell you what we exactly do. Watch this video or continue reading below. Create captions automatically and review them. If you click that, Facebook will quickly go through your video and generate the subtitles. Once generated, you will have the opportunity to go through and edit them. The problem with this is accuracy and you will need to take some time reviewing and editing the auto-generated captions. Most of the time, it never has the punctuations or capitalizations correct which you will have to revise manually. 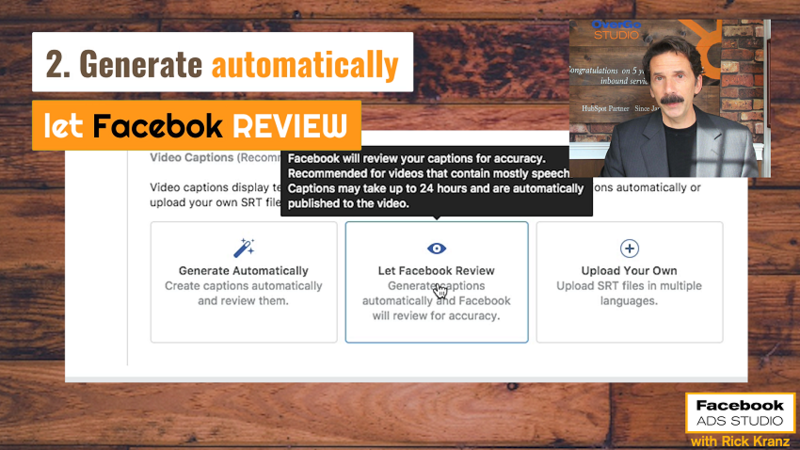 Generate captions automatically and Facebook will review for accuracy. If your video is short enough, Facebook will generate the captions and actually do a manual review of the captions for you. That's all I have for today. 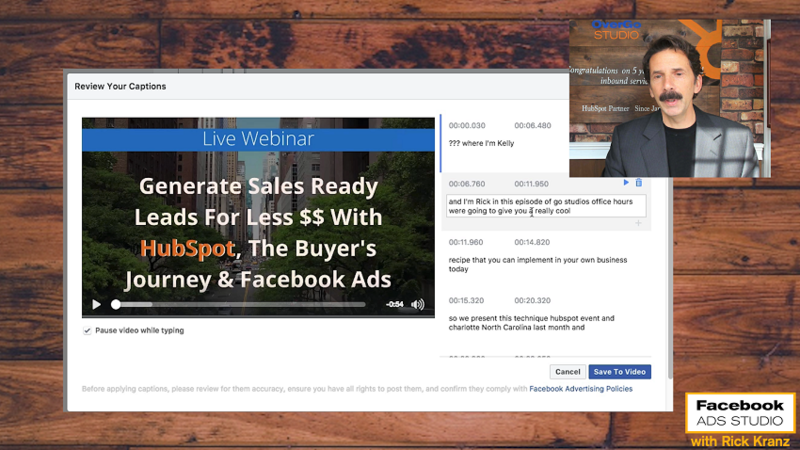 I hope this gives you an idea on how important subtitles are for Facebook Video Ads. If you like these types of tips and would like to get them on a regular basis, you can follow me on my Facebook page. You may also be interested in this post on What's the Optimal Facebook Video Length? Do you have our latest cheat sheet on Facebook Messenger Ads? Get it Here.